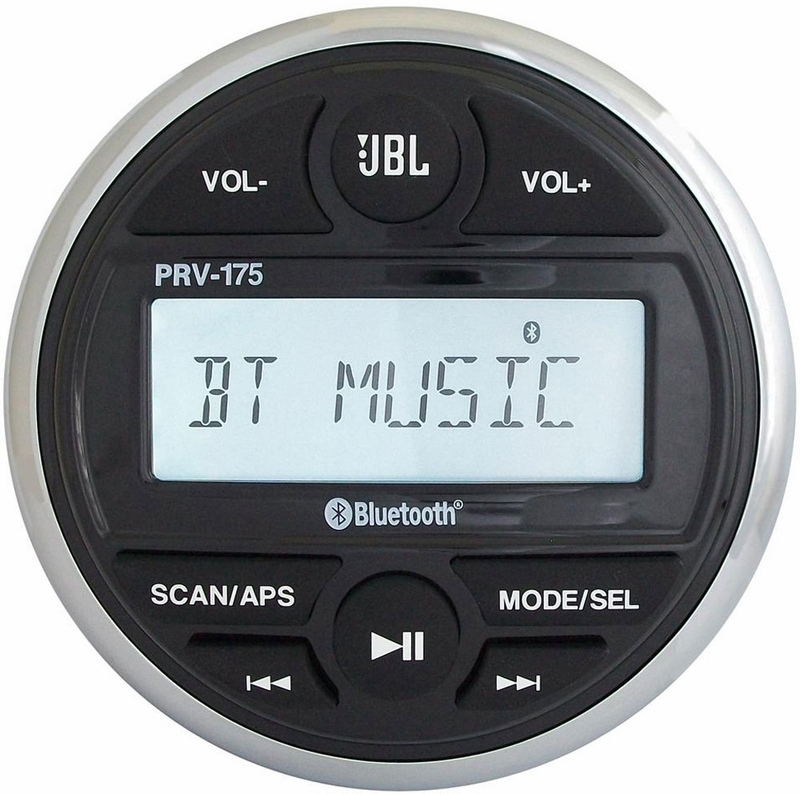 JBL's PRV 175 marine digital media receiver will change the way you listen to music on your boat - without forcing you to cut or change your boat. This digital media receiver packs a lot of features into a compact design that fits into a standard tachometer opening. 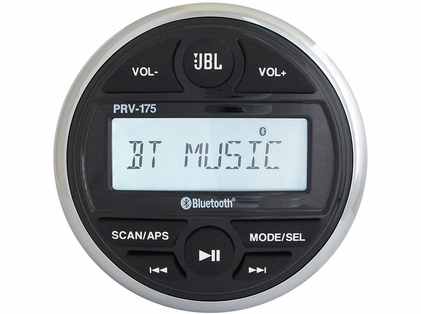 You'll enjoy AM/FM radio, of course, plus built-in Bluetooth® that lets you stream music from your Android phone. You can also use the rear aux input for your music player, or plug a thumb drive into the rear USB port to enjoy your favorite music files. The PRV 175 includes a set of rear-mounted preamp outputs, so you can expand your system with a marine amp in the future. The LED display tells you what you're listening to with just a glance, while the watertight, UV-stable face and controls will stand up to sun, salt and moisture when you're riding the waves.